Today we are going to share the experience of IOCL Interview Question Electrical. The interview was around 30 minutes. They asked questions from all area i.e. technical questions, previous job-related questions and some questions from hobbies. it was asked IOCL Interview Questions Electrical GATE 2018. It works under The Ministry of Petroleum and Natural Gas of the central government. 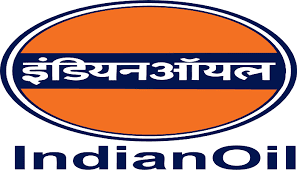 Indian Oil Corporation (Indian Oil) is India’s Largest Commercial Enterprise. Indian Oil’s business is refining, pipeline transportation, and marketing of petroleum products, exploration and production of crude oil, natural gas and petrochemicals.thet may ask tell me about IOCL as it is very general questions so this information is very useful for IOCL Interview Questions Electrical so it will suggest to read it very carefully. It has subsidiaries in Sri Lanka, Mauritius and the UAE. Member: 6 (Including 1 lady). 1: Tell me about yourself. 2. What is your rank in GATE? 3. Which year did you pass out? 4. What were you doing during the last year? 5: What is your current designation where you are working and tell us about your job profile. 6: When did you join your previous company? 7: Why did you resign your last company? 8: Do you really think IT sectors are a prominent contributor to our GDP? 9: Why do we calculate GDP in percentage? 10: Who is your role model and why? 11: Explain the operation of the three-phase inverter in the board with the diagram? 14: Direction of current in secondary winding? 15. What precautions would you take during lightning? 16. What is lightning arrester and surge arrester? 17. What will you do to protect the equipment in a substation from lightning? 18: Do you think DC source will make an impact in the transformer? 19: Why do we mostly prefer to generate and distribute electricity in 3 phase and not in 4 phase or 5 phase? 20: Which motor connection is preferable star-delta or delta-star? 22: Did you attend any PSU interview before? 23: What is the difference between alternator and generator? 24: What do you know about IOCL? 25: Why do you choose IOCL over ONGC? 28: What are the projects going on in Odisha by IOCL? 29: How much crude oil is being imported? 31: Would you like to ask anything? 32: You may go now. so, guys, I hope you like the IOCL Interview Questions for Electrical. if you have any question then drop a comment.